Kinuyo Yamashita is a veteran video game composer best known for her work on the Castlevania and Medabots series. Born on December 31 in Amagasaki, Yamashita started taking weekly piano lessons from the age of four under the influence of her parents, and went on to perform the music of Chopin and Beethoven at youth recitals. At high school, she experienced creating music for the first time when she arranged a song into four movements for a choir competition and made a medley for a school athletic’s festival. Nevertheless, music was not her only passion and she also enjoyed playing volleyball and studying maths. As a result, she did not initially consider a musical career and instead studied electrical engineering for two years at the Osaka Electro-Communication University. After graduating in 1986, she received consultation about employment opportunities in the field of music technology and decided to apply to Konami’s sound division. After passing several demanding entrance exams, she joined their acoustic effect research lab in 1986. Yamashita’s first work at Konami was the original Castlevania (aka Akumajo Dracula). In collaboration with Satoe Terashima, she created the music and sound effects in a manner that matched the dynamic gameplay and gothic visuals. Throughout the composing process, she improvised on a keyboard to discover suitable melodies and subsequently developed them into full pieces. The artist was directly responsible for programming the sound data for the Famicom Disc System and MSX versions of the game; though a long-winded process, she successfully tweaked the hexadecimal music data in order to produce higher quality sounds. Her music was also ported for the overseas NES version. 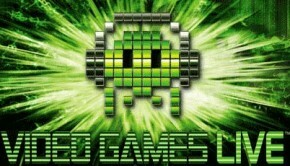 At the time, Yamashita was not aware that the game would become so famous and was pleasantly surprised that melodies such as “Wicked Child” went on to become iconic video game music. However, she felt equally disappointed that she was credited without her knowledge as James Banana on the title. Unfortunately, she was not given the opportunity to compose the sequel due to commitments on other projects. During her two and a half years at Konami, Yamashita worked on a range of other projects. She initially took guest roles on King Kong 2, Stinger, and Hi no Tori for the NES under the pseudonym Yamapon. In more demanding roles, she was responsible for the entire sound production of both Esper Dream and Arumana no Kiseki in 1987; continuing to focus on strong melodies and rhythms, the artist explored a range of mellow and upbeat sounds on both titles, while also developing a sizeable sound effects collection. Yamashita later participated on The Maze of Galious, The Treasure of Usas, and Shalom and persevered to overcome the even greater limitations of the MSX computer. Her final contributions to Konami were a range of classical parodies on Parodius, several stage themes on Gofer no Yabou Episode II, and some Arabian-influenced pieces on King’s Valley II. Feeling sick due to the pace of work and dissatisfied with lack of credit, she left the company in 1988 to become a freelancer. 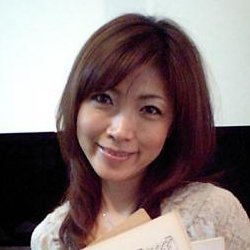 Soon after leaving Konami, Yamashita was invited to write music for a small development team funded by Taito, after making an impression with her Castlevania work. 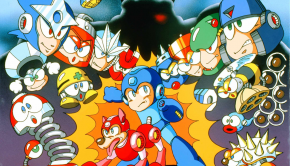 The artist wrote all the music for 1990’s Power Blazer, a NES action game inspired by Mega Man; the soundtrack matched the gameplay with suitably paced compositions while endearing listeners with catchy poppy themes somewhat reminiscent of her Konami soundtracks. The subsequent year, she enhanced the sound quality and remade the sound effects for its Western adaptation Power Blade. On this adaptation, she formed a long-standing collaboration with developer Natsume. She was contracted by the company to compose Hana Taka Daka in 1991 and used the relative technological freedom of the TurboGrafx-16 as an opportunity to experiment; rather than compose music to fit the image of the game, she composed freely in different genres, ranging from traditional Japanese music to upbeat pop tracks. From 1993, Yamashita worked on a wide range of projects for the Super Nintendo on behalf of Natsume. She further explored the music of feudal Japan with distinctive synth and tonalities on Pocky & Rocky 2 and Heian Fuuunden, while overcoming technical limitations. In other roles, she provided memorable depictions of the fighters on Zen Nihon Pro Wrestling and its three sequels, created a mixture of lively and mellow tracks on three fishing titles, and captured the tones of Ghost Sweeper Mikami, Mighty Morphin Power Rangers, and Casper on their successive game adaptations with all-new music. On each of these titles, she was requested to submit a range of compositions to the company’s sound director Iku Mizutani, while the other internal employees programmed her tracks and offered additional music. Between 1991 and 1995, Yamashita also performed as a pianist and saxophonist in Honey Honey alongside a vocalist. As part of this duo, she performed covers of jazz and pop music in small venues across Japan. 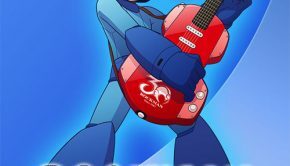 After overcoming the Great Hanshin earthquake, Yamashita created the well-known score for Capcom’s Mega Man X3 in 1995. As a fan of the series, she relished the opportunity to compose all the music for the title and even took home the development kit to program her own music. In 1996, Yamashita experienced composing for the PlayStation for the first time with the game adaptation of the Kindaichi Case Files. As the client was very particular about audio quality, she upgraded her studio equipment for the project and carefully developed a dark ambient tone. Following this project, the artist composed the entirety first game in the Natsume’s long-running Medabots series for the Game Boy. The music captured the youthful characters and lively gameplay of this RPG with a range of chiptunes and generated considerable acclaim in Japan. Yamashita also explored further possibilities for streaming sounds on the diverse scores for Snow Speeder, Crying Dragon, and Digital Figure Iina towards the end of the 1990s. In August 1998, Yamashita was hospitalised after suffering a subarachnoid haemorrhage while playing tennis. She suffered a second haemorrhage while comatosed in hospital, but miraculously survived after an operation. After recovering her memory and overcoming paralysis, she was released from hospital and developed a new philosophy on life. After taking a break from composing, Yamashita returned to game music after being offered new opportunities for Natsume. She spent the majority of her time creating hundreds of pieces for the four main sequels to the Medabots series for the Game Boy Color. On these titles, she maintained the distinctive character of the first game, while offering a greater quantity of music and placing particular effort into the battle themes. Yamashita also elaborated on the series’ music foundations for the orchestrated soundtrack to the GameCube’s Medabots: Infinity, the Game Boy Advance spinoffs Medabots Navi and Medabots AX, and the enhanced remakes of the first two games. Due to her work on the Medabots series, Yamashita’s music was requested for numerous other titles in the Game Boy line. She maintained her characteristic light-hearted sound on titles such as Pocket Color Block, Croc 2, Sylvania Melody, and Cinnamon Big Dream Adventure. The artist nevertheless worked on diverse other titles, including Wrestlemania 2000, Road to Wrestlemania, Bass Masters Classic, and Buffy the Vampire Slayer, blending influences from her Super Nintendo days with novel ideas. On each project, she carefully considered the polyphonic limitations of the consoles while composing. When programming the music, she programmed the sounds into the console and made various tweaks to give the music a wider reach, much like she did back on Castlevania. Thereafter the artist transitioned to composing for the DS with candypop music on Thomas the Tank Engine, Hello Kitty Collection, and Cinnamon Twirl Sweet, and has also contributed to lifestyle games dedicated to family medicine, arithmetic, travel, and world history. 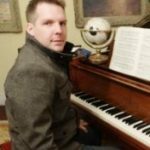 In the last few years, Yamashita has started taking an active role in the official game music community. After learning that her Castlevania music was being performed around the world, she was delighted to be a special guest at performances of Video Games Live in Japan and the US. As a result of her friendship with Yuji Takenouchi, she also became a founding member and regional leader of the short-lived sound alliance GE-ON-DAN. On their behalf, she produced a fleshed-out remix on the DoDonPachi Dai-Ou-Jou Arrange Album and wrote a special song for their first original album in collaboration with Thomas Howard Lichtenstein for GE-ON-DAN’s first original album. In scoring roles, Yamashita wrote the entire action-packed score for Gunhound in 2009. She also continued to pursue light-hearted and interactive sounds on Walk It Out!, Shugo Chara, and Mr. Balloon’s Wonderful Trip. In 2010, Yamashita emigrated to New Jersey after falling in love with the environment. She continues to pursue game scoring there, while also making appearances for special concerts for Video Games Live, MAGFest, and the Video Game Orchestra. © Biography by Chris Greening (September 2010). Last updated on April 14, 2013. Do not republish without formal permission. Posted on April 14, 2013 by Chris Greening. Last modified on March 21, 2014.